We have a diversity of personal training clients, ranging from those who work with us once or twice a month to several hours per week. Regardless of how often you work with our personal trainers, we provide you with program design. Whether as an integral part of the personal training experience, or as a standalone service, program design is essential to your personal training success. If you’ve decided that you want to train on your own – whether because of budget, location, or time limitations – we can help you. We can do your evaluation on site, or, when location prohibits, online via phone, email, and internet. We can then provide you with your customized personal training program. This service is Program Design. How do I learn to perform the program that you design? When location permits, our personal trainers provide you with the required number of hours of personal instruction directly on the training floor. When location prohibits a face-to-face meeting, we conduct the training through the use of pictures, phone, and email consultation and support. In this way, we ensure that you understand and implement your workout effectively. At the end of the cycle, your training program is re-evaluated by a Master Coach. A new program is then presented and taught in the same manner. Is program design really an effective way to get in shape? Yes. Every intelligent process needs to begin with a thoughtful plan. If you cannot afford regular training or do not have the ability to meet regularly for a training session, Program Design is a great option. Whether at our training center or online via email and phone, you’ll receive quality training and personalized service. 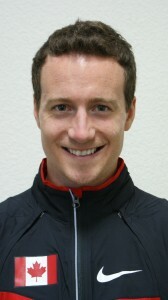 Sean Young, a world-ranked track athlete, won eight Canadian National Championships, went to World Championships and the 2012 Olympics working with Physiqology through Program Design services. If he can do that, you should be able to get into great shape! Read Sean’s testimonial about the success he achieved working with us remotely. Ready to get in the best shape of your life? It all starts with a personal consultation.